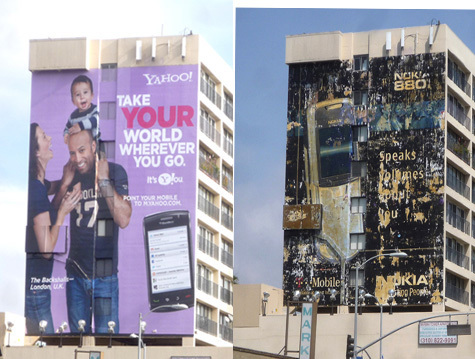 » Disappearing Supergraphics: No More Open Season in L.A. For Rogue Sign Companies? It’s surely no coincidence that companies have been removing these signs after City Attorney Carmen Trutanich filed a multi-million dollar lawsuit against one sign company and a number of property owners, engineered the arrest and jailing of a landlord in Hollywood who put up a huge illegal supergraphic on an historic Hollywood Blvd. 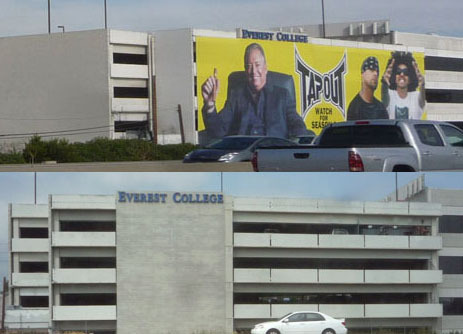 office building, and issued arrest warrants for sign company executives and a property owner who allowed three illegal supergraphics on yet another Hollywood building.